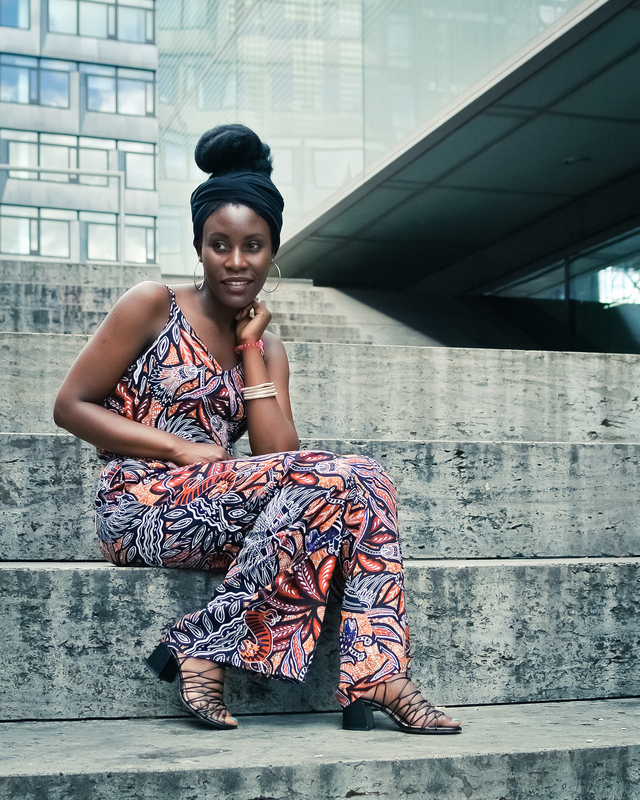 The Summer Jumpsuit – Sara K.
Today’s post is all about two items I’m loving: my patterned jumpsuit from H&M and my Mango lace-up sandals that I recently purchased. 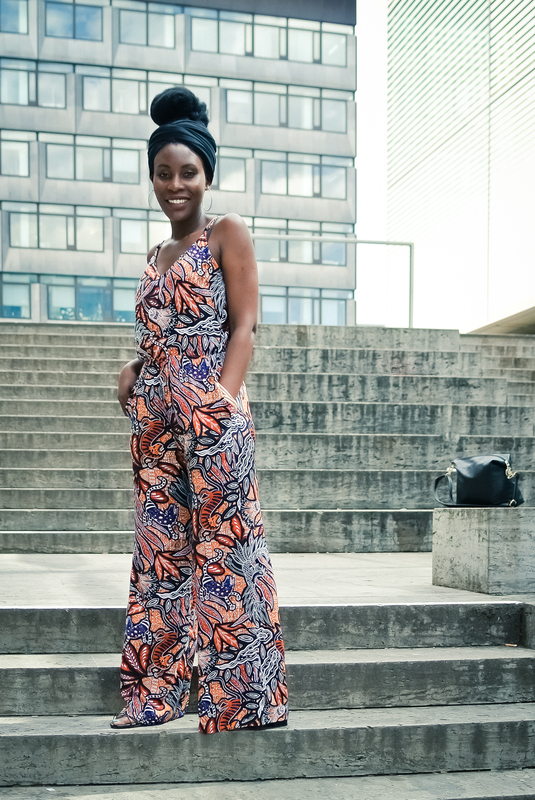 After being on a summer jumpsuit hunt and either not finding my size or right length, I finally managed to find this lovely one. 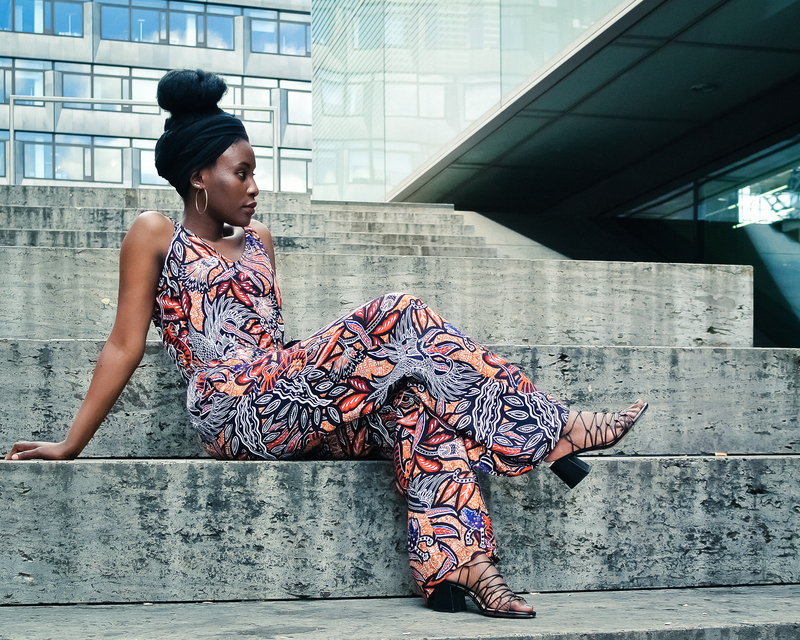 I could not resist the blooming chitenge-like [African-print-pattern] jumpsuit with wide legs, pockets and a slightly open back, because it has summer written all over it! 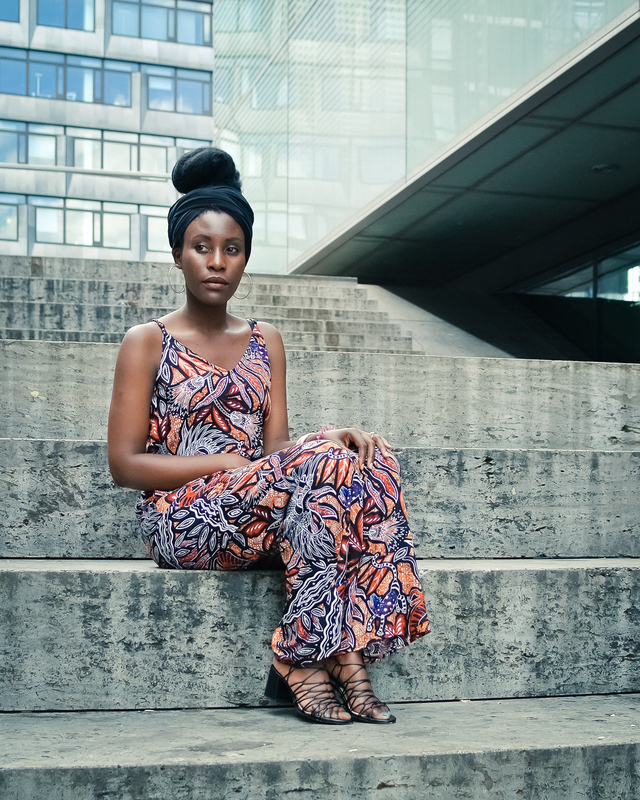 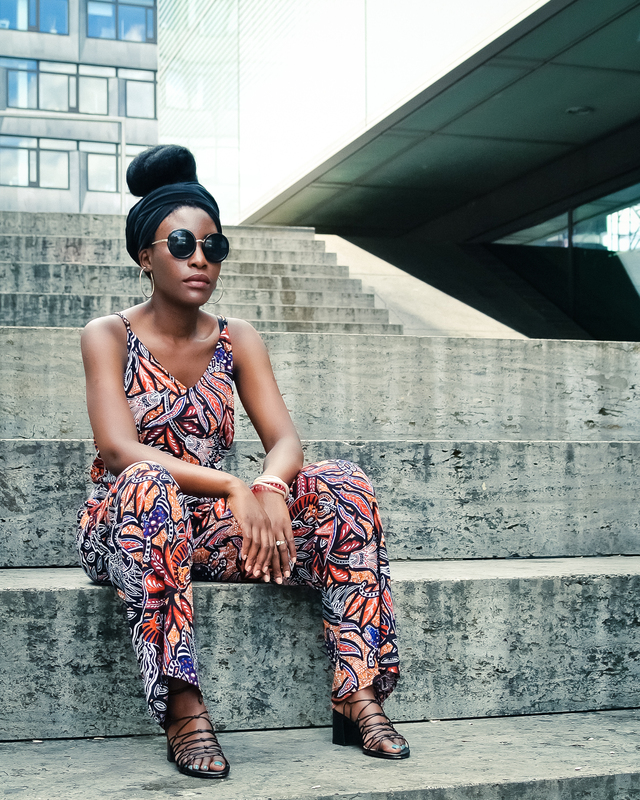 Jumpsuits are great for a lazy girl fashionista – it’s one piece and easy to dress. 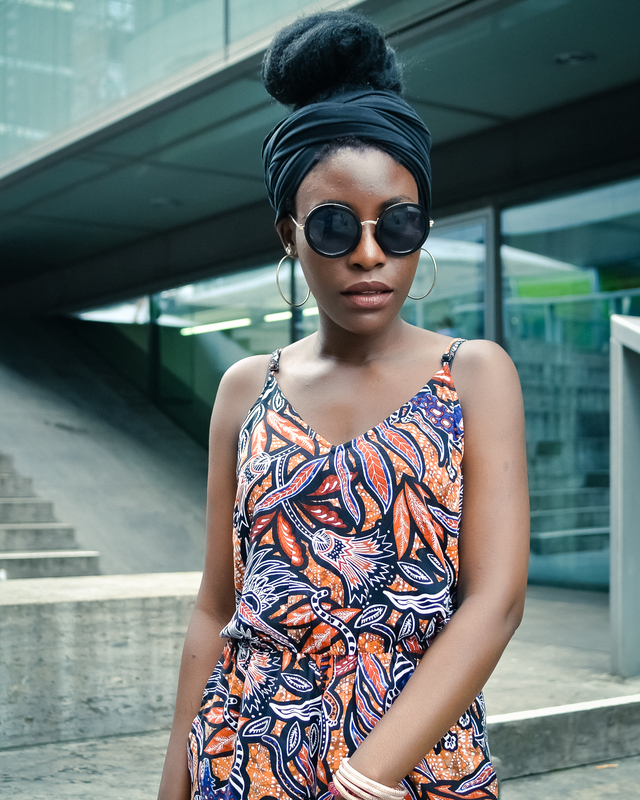 I chose a loose fitting and sleeveless one, which is great for the extra breeze on a warm day … you don’t want to be clamped and sweaty in this heat. 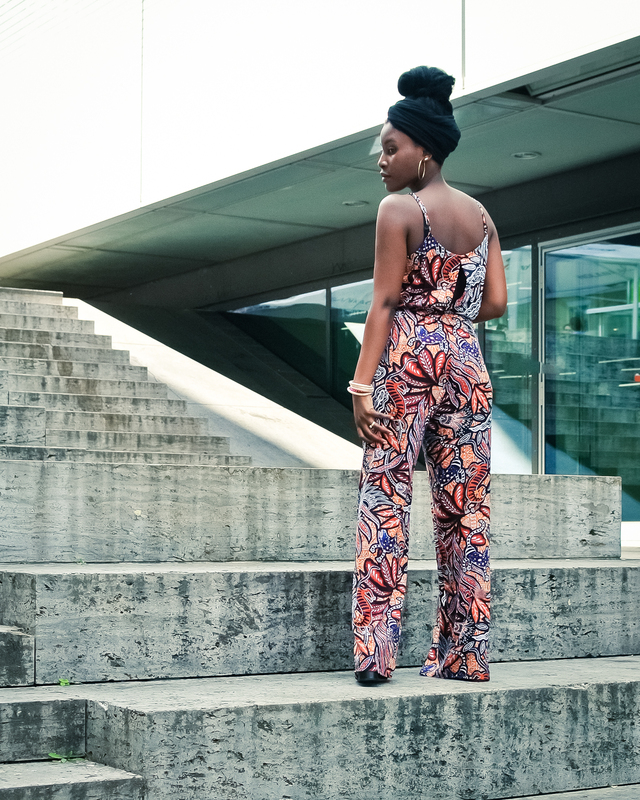 This jumpsuit would be great for daytime and nighttime occasions or even at the beach. 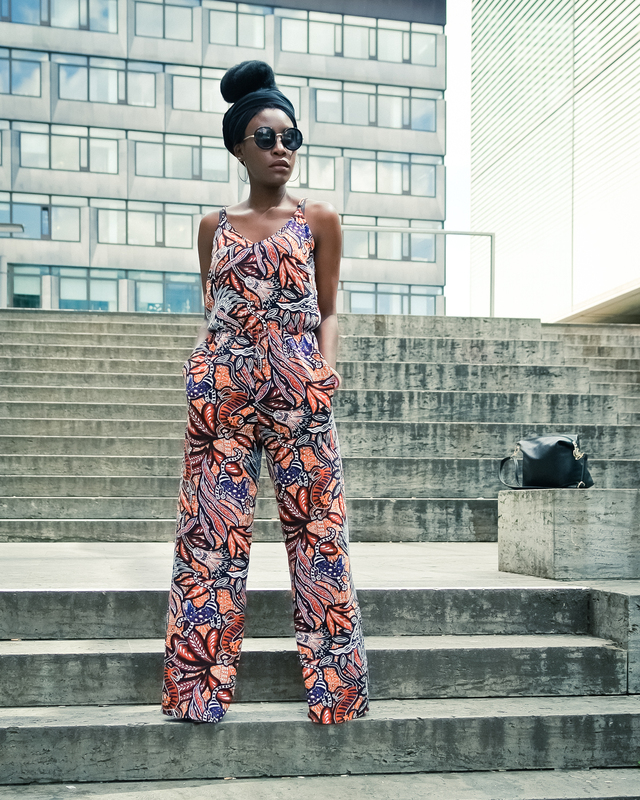 I think a nice jumpsuit is a must have and for me, I am definitely loving this one.